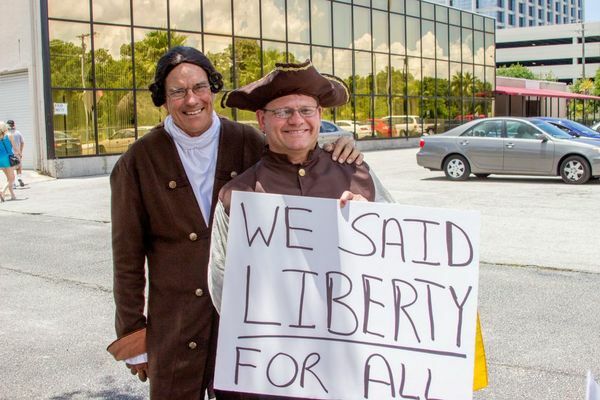 Guest post submitted by the Tampa Tea Party. Thomas Jefferson defined tyranny as "Oppressive power exerted by government". Our Founding Fathers were prescient in warning of tyranny by an over-reaching, too powerful government. The Tea Party has been warning of this tyranny since it burst on the scene in 2009 opposing the exploding size, scope and intrusiveness of government. Today we see the reality of tyranny played out by the most feared government agency gone rogue, the IRS. 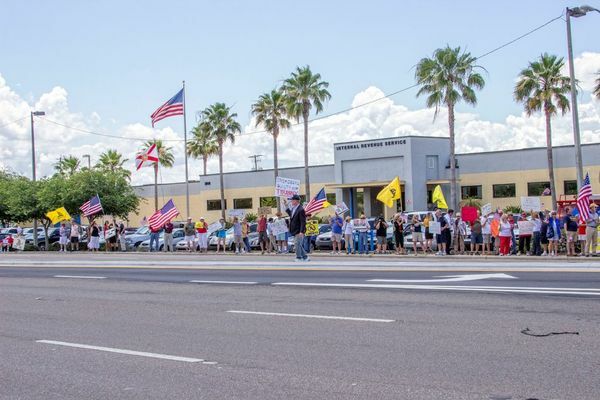 Tampa Tea Party thanks everyone who participated in the protest rally yesterday at our local IRS office. 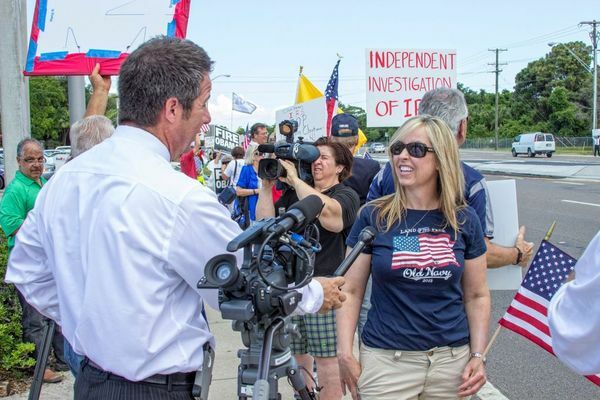 Various news reports stated up to 300 liberty minded protesters participated. 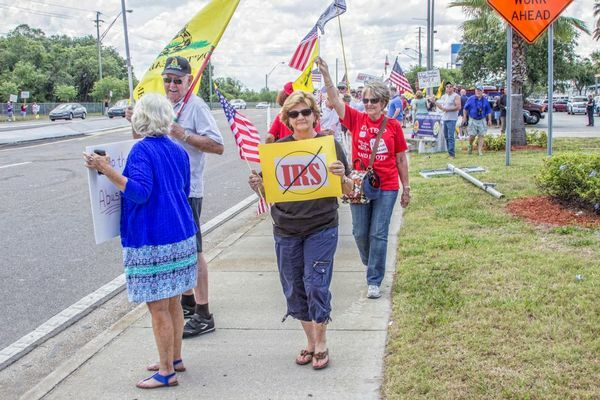 We appreciate all who stood in unity opposing the tyrannical, and what also appears to be criminal activities, the IRS took against Tea Party, 912, Patriot and Conservative organizations and individuals. We will continue to demand the truth and to hold accountable those who participated in the activities, those who facilitated and created the environment for this to occur and those who knew long ago and did nothing. We will continue to demand that a special counsel, independent of the DOJ, be appointed to get to the bottom of this issue. Here are more pictures from the rally. Photos courtesy of Arthur Paul. Thank you again for your support. Stay engaged, stay energized and we will prevail!